"These works were built in the eighteenth century by Anthony Keeling, one of the eminent potters of the district in the olden days. He married Ann, daughter of the celebrated Enoch Booth, to whose business he succeeded. At the commencement of the nineteenth century, he was the principal manufacturer in Tunstall. He was succeeded in 1810 by Thomas Goodfellow, from whom the works passed into the hands of Mr. Bridgwood, by whom (being joined in partnership by Edward Clarke in 1858) they were carried on under the style of Bridgwood & Clarke. Mr. Bridgwood dying in 1864, Mr. Clarke became sole proprietor and carried on the concern until 1877, when he removed to the New Bridge Works, at Longport, and later to the Churchyard Works at Burslem. The marks used were EDWARD CLARKE impressed on the body of the ware, and the royal arms with supporters, garter, motto, etc., above a flowing ribbon on which are the words EDWARD CLARKE. PORCELAIN OPAQUE, and beneath, TUNSTALL. 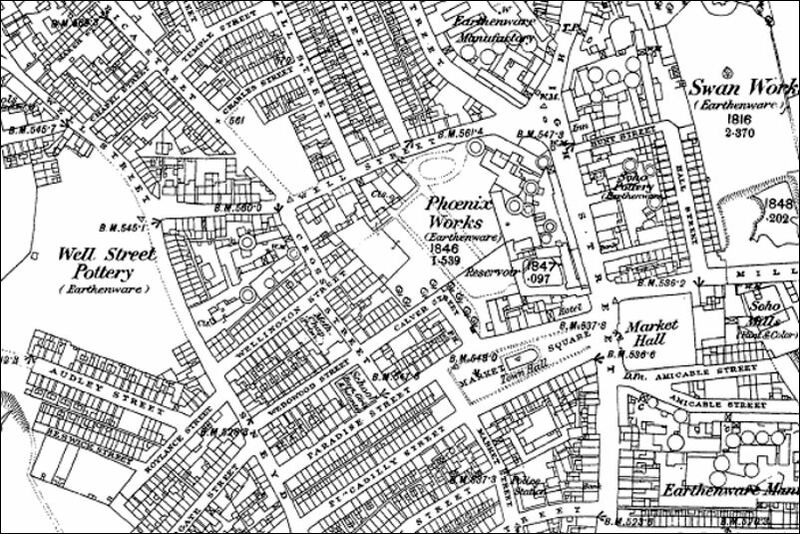 Edward Clarke continued at Burslem until about 1887." 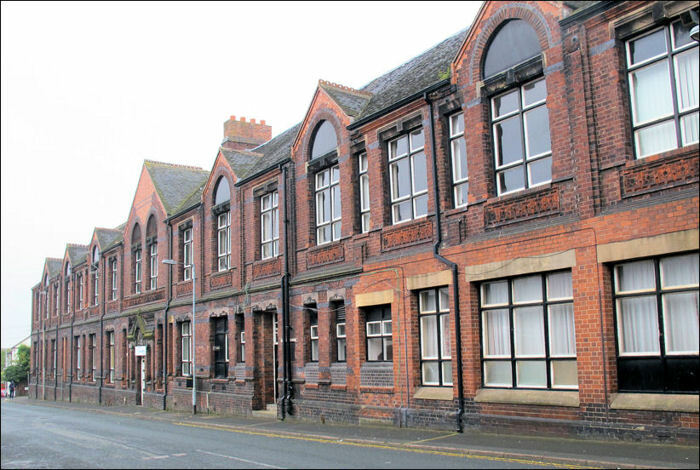 The Phoenix Works were demolished and the Wolstanton School Board school was built in 1880. 18th C 1810 Anthony Keeling "one of the eminent potters of the district in the olden days"
1858 1864 Bridgwood & Clarke Edward Clarke joined Bridgwood in partnership in 1858. Bridgwood died in 1864. 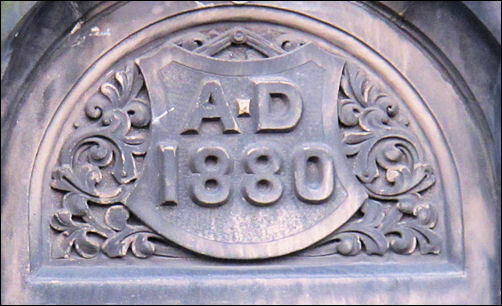 1864 1877 Edward Clarke in 1877 Edward Clarke moved to the New Bridge Works, at Longport, and later to the Churchyard Works at Burslem.